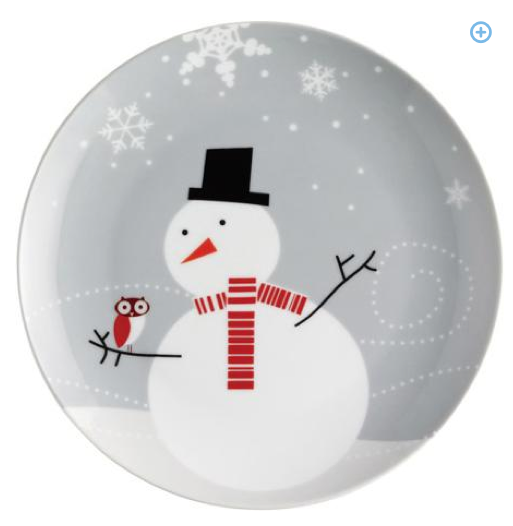 Rachael Ray 4-piece Little Hoot and the Snowman Plate Set Only $9 + FREE Store Shipping (Reg. $14.96)! You are here: Home / Great Deals / Rachael Ray 4-piece Little Hoot and the Snowman Plate Set Only $9 + FREE Store Shipping (Reg. $14.96)! I just spotted this awesome CLEARANCE deal on this Rachael Ray 4-piece Little Hoot and the Snowman Plate Set for only $9 (Reg. $14.96)! Perfect for holiday entertaining!! Shipping is FREE when you select Site-to-Store Pick Up if available in your area (just type your zip code in to check)!